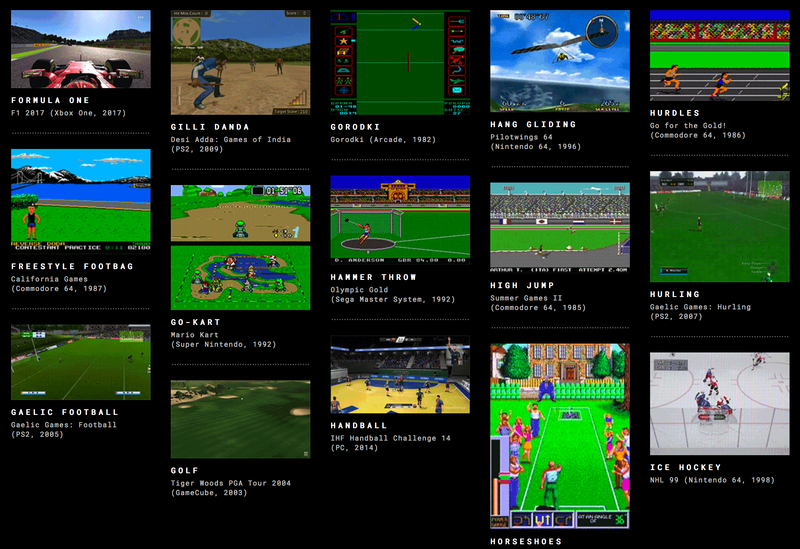 Wide World of Sports Video Games picks just one classic video game to represent each sport and organizes them into a neat gallery. It's the work of Tim Szetela, with Jason Eppink and John Sharp. Players compete in more than 8,000 different sports around the world, but many sports video games focus on baseball, basketball, football, and soccer. Wide World of Sports Video Games explores the range of sports that have been adapted to video games over their 60-year history, featuring 123 different sports from Aerobics to Zumba.